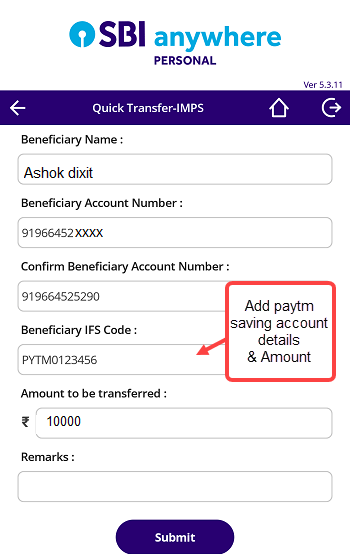 Today we will tell you how to add/transfer up to Rs.10,000 instantly to your Paytm saving account form SBI saving account. Paytm has launched paytm payments bank last year for all wallet users. You can open your saving account online with all banking facilities like physical debit card, cheque book (coming soon). Currently you can only deposit money to your paytm saving account through online channels, there is no physical branch. 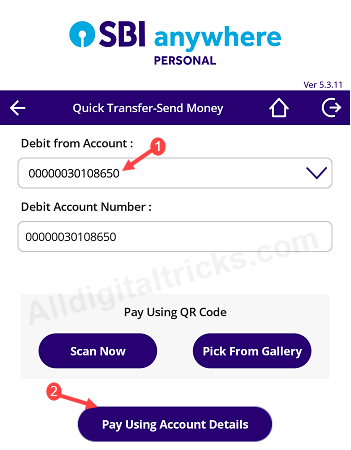 If you have SBI account and want to transfer money to your paytm payments saving account then follow this step by step guide and instantly transfer up to 10,000. 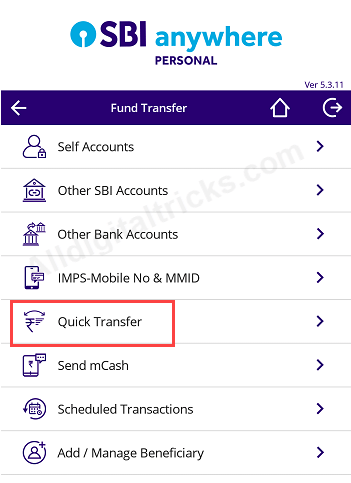 You can use SBI Anywhere application or net banking to transfer money, no need to add payee or waiting for approval. 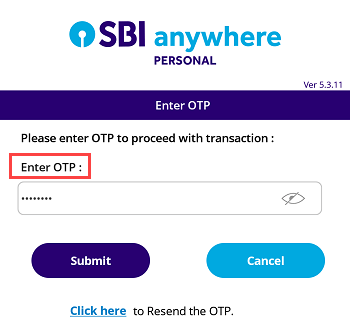 1: First of all login to SBI Anywhere application. 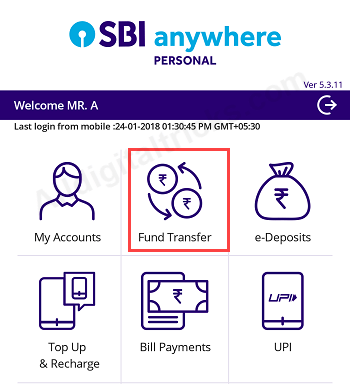 After login, tap on Fund Transfer tab. 2: In next screen, tap on Quick Transfer as you can see in screenshot. 3: Now tap on Send Money. 4: Next screen, select your sbi debit account and tap on Pay using Account Details. 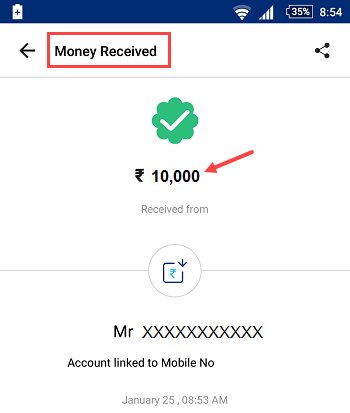 6: After adding paytm beneficiary details and amount, once again confirm it. 7: Now you will receive OTP on your SBI registered mobile number. Enter OTP and submit. Done! you have successfully transfer money to paytm saving account. To check your received money, open paytm application and tap on Passbook tab. 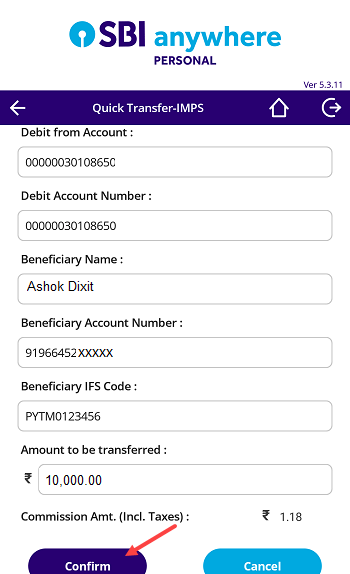 Here select saving account and see received money section. 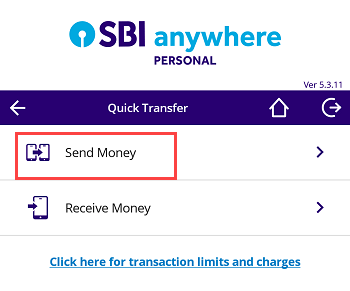 So this is quickest way to add/transfer money from sbi saving account to paytm saving account. You can transfer up to 10,000 by following this instant method.